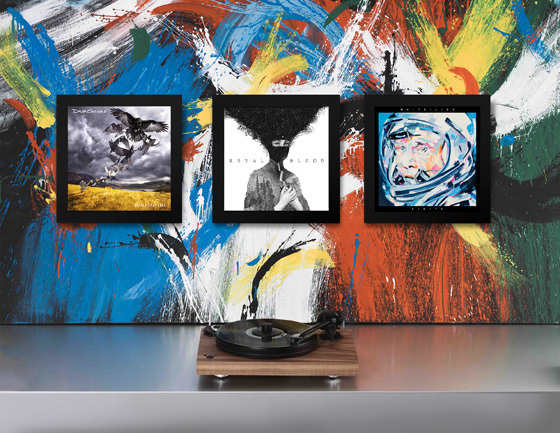 eil.com is an official distributor for Art Vinyl, the original way to display your favourite music and vinyl record art. All Play 7 Display Flip Frames now come with added UV Protection. The Play & Display Flip Frame was the first ever quick change solution for safely displaying record cover art. 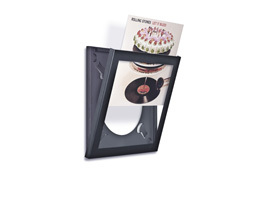 These unique Flip Frames can hold 99.99% of all LP�s of or 12" singles and you can change your display or play your record whenever you wish to. The special Flip Frame design will ensure that records of any thickness will instantly look amazing on the wall in your home. 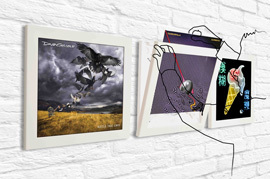 With the unique quick release system allowing you to instantly change your album cover display as often as you like, without having to move the frame or take it off the wall. Simply press the easy release catch at the top and it hinges open. We understand that no 12" records are alike; with this in mind our Play and Display frames are specially designed and manufactured to compensate for differences in the thickness of an LP or 12" record when displayed in the frame. This is achieved thanks to the unique 'sponge finger' system on the back of the Flip Frame, which ensures that any 12" record will fit comfortably inside and also protected from UV light. The frame's crystal clear front window brings out every detail of your favourite album artwork and on the back plate of the frame, soft pads at each corner ensure that the frame sits neatly against your wall. As Enthusiasts and collectors you can take advantage of our exclusice pricing which means that the more you need the less you pay per Flip Frame. For a serious collector 3 is a minimum but 9 is the ultimate when celebrating an artists complete back catalogue.